Isis, Nephthys and later on also Serket and Neith were essential in the regeneration sphere. They, as women/goddessees, played a crucial role in the process of resurrection in Ancient Egypt. 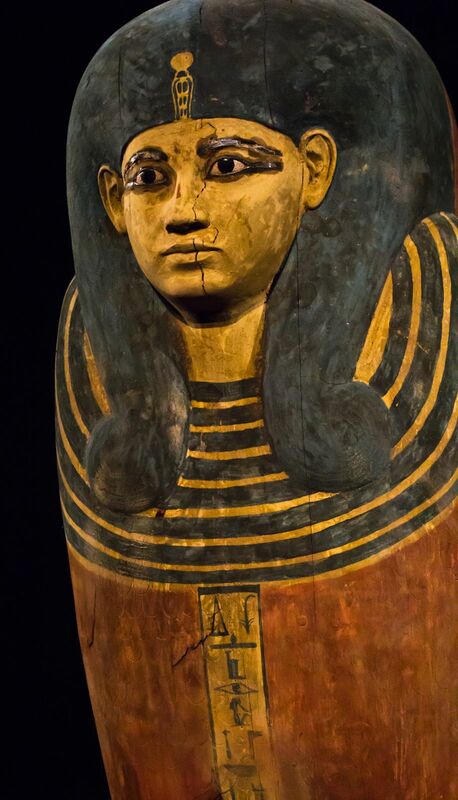 Canopic chest of priest of Montu Pady-Imenet. 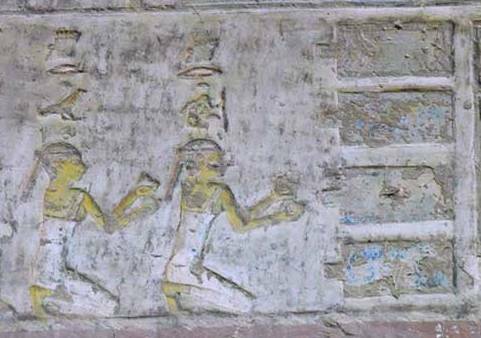 Neith pouring water on Qebehsenuef, the son of Horus who protected the intestines. XXII Dynasty.Luxor Museum. For that reason, ancient Egyptian artist included their images in every funerary artefact related with the mummy (at both ends of coffins and sarcophagi, in canopic shrines, ushabti boxes…). Nevertheless, what happened under the reign of Akhenaton? During the Amarna Period the official religion changed into a kind of monotheism. The only officialy worshipped divinity was the sun disk Aten and every old divinity disappeared, included the goddesses. How did they managed the matter of the resurrection and the women/goddesses involved in it? The most important female figure in that period of the history of Ancient Egypt was Nefertiti. She had a higher status than former royal wives did, even in religion. Sarcophagus of Akhenaten. Cairo Museum. Photo Mª Rosa Valdesogo. Not only she had her own role in the cult to the Aten, iconography shows how it was considered that Nefertiti had a reviving power in herself.